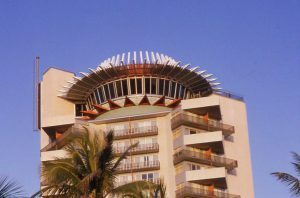 Ft. Lauderdale’s Pier 66 Hotel complex, whose sophisticated 17 story tower, demonstrated the evolution of the city’s tourism industry to one which was cosmopolitan. 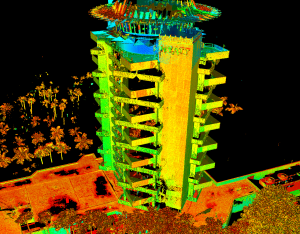 Crowned with a star-burst rotating restaurant/lounge which turned 360 degrees every 66 minutes, Pier 66’s tower was the first building in Ft. Lauderdale to exceed 15 stories. Into the 1960s, Ft. Lauderdale remained in the shadow of Miami Beach with its glorious mid-century masterpieces the Fontainebleau and Eden Roc hotels. 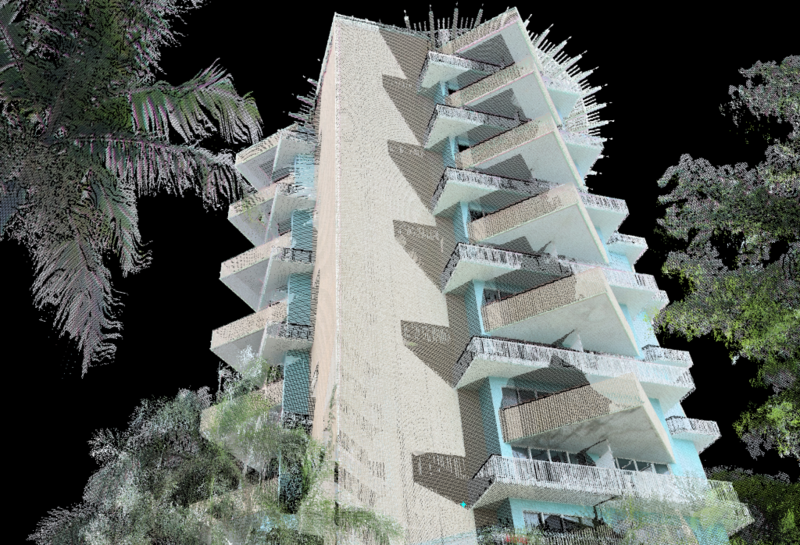 Smaller mom and pop motels lined the city’s wide beaches that were invaded each year for Spring Break. 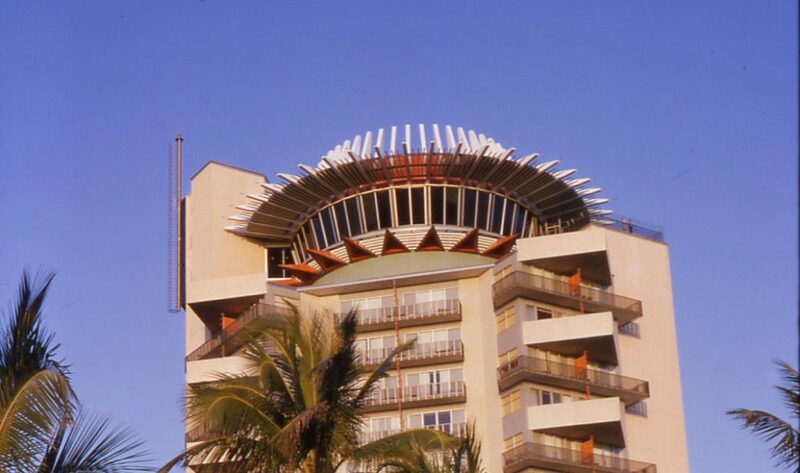 While the Yankee Clipper Hotel was a larger resort, its architectural style was more playful than luxurious as the building’s profile resembled a transatlantic ocean liner that has washed ashore. 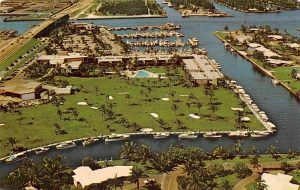 The Pier 66 complex was developed by the Phillips Petroleum Company, evolving from a gas station and yacht marina to restaurant and traditional two-story motel. 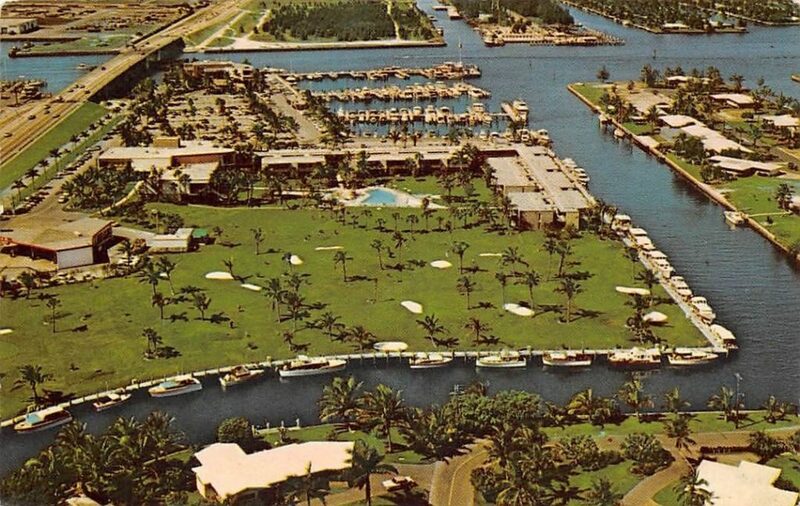 While period postcard touted the original Pier 66 Motor Hotel as a “Fabulous 22-acre waterway wonderland” with 102 luxurious hotel rooms, 2 pools, 5 cocktail lounges and a private par 3 golf course, it still lacked the architectural sophistication of the Miami resorts. 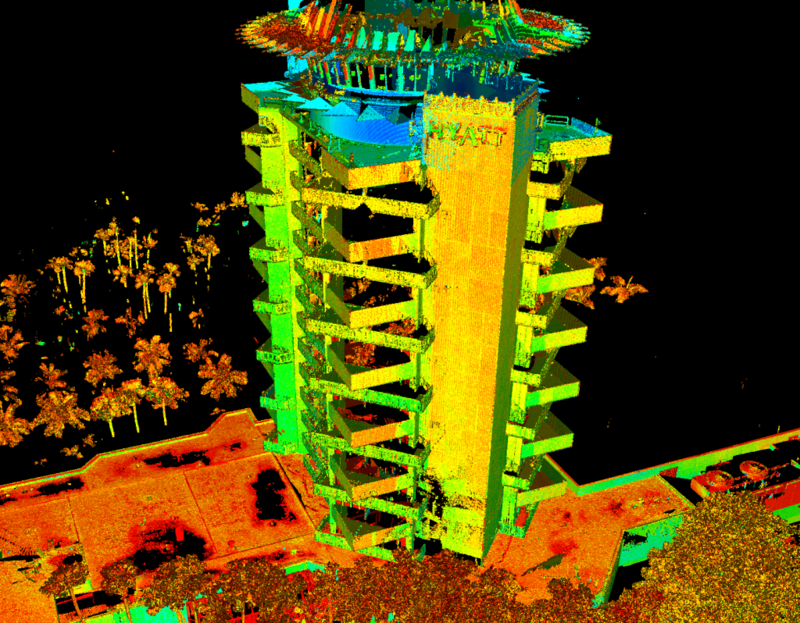 A Leica ScanStation P40 operated by Langan and a FARO Focus3D S120 was used to capture Pier 66.